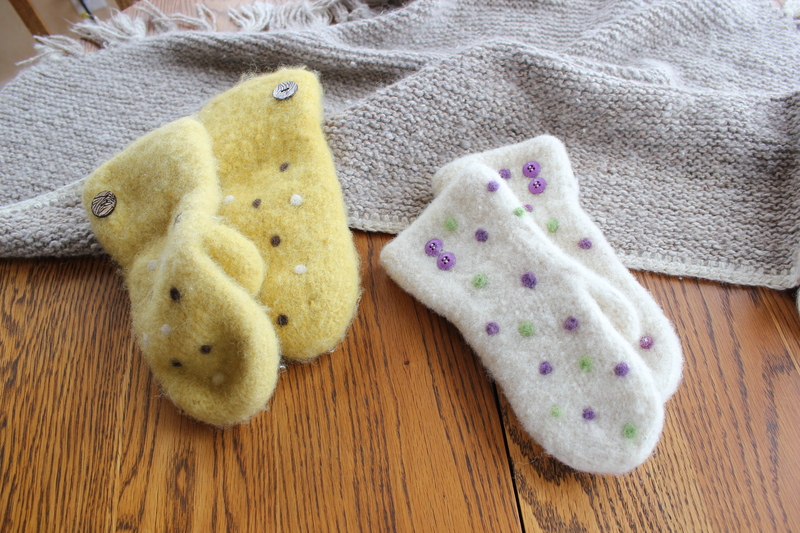 At Rousay Station we knit mitts from our lopi weight lambs wool yarn, then we “full” them by throwing them in the washer and shrinking them. The result is a thick ,warm, long wearing, mitt that resists wind and keeps your hands warm on the coldest days of winter. Our customers wear these mitts for long walks and winter bike riding. 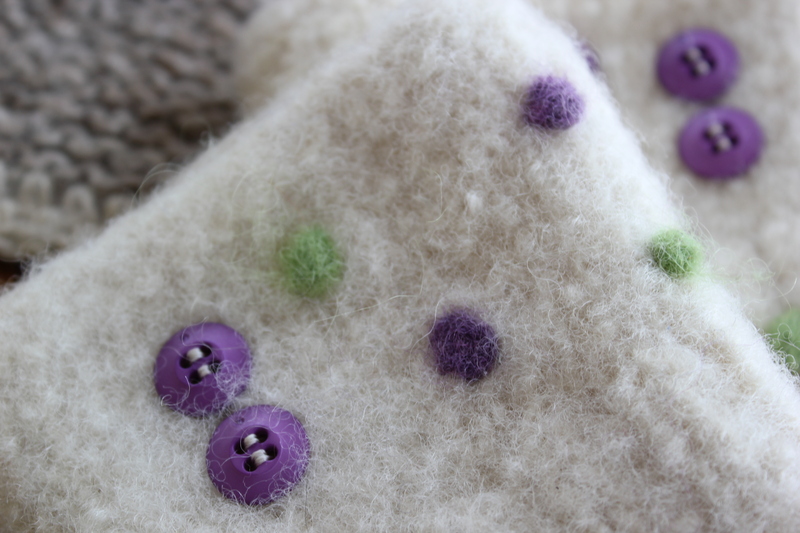 The mitts pictured have been decorated with needlefelting and buttons. Posted on April 8, 2013 by rousaystation	• Bookmark the permalink.